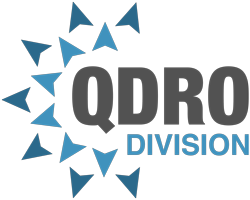 Home » Uncategorized » 2019 QDRO Division Rate Sheet and New Service Offering! The QDRO Division team is pleased to announce that in 2019 we will be offering a ‘ghost writing’ service, for clients and attorneys who wish to enjoy a cost savings by completing pre-approval and processing of their QDRO/DROs with the Court/Plan. This ‘ghost writing’ service will include detailed instructions on how to obtain pre-approval of the QDRO/DRO from the plan administrator, free corrections by our office on the QDRO/DROs if corrections are required by the plan administrator, and detailed instructions on how to complete final processing with the Court/Plan. For those ‘do it yourself’ clients who are seeking a break on attorney fees, this is your opportunity! For those clients looking for ‘full services’ including collection of signatures, pre-approval, filing at court, obtaining a certified copy of the QDRO/DROs, and processing with the Plan, we are pleased to offer you our continued commitment to competitive rates and quality service.